Since the Xbox 360's release in 2005 thousands of games have been released. Most 360 games are easy to find and abundantly produced, but a few titles are rare and in some cases quite valuable. Below is a list of the rarest and most expensive Xbox 360 games. When the original Dead Space launched is 2008, EA made 1,000 Ultra Limited Edition copies they sold for $149 each. This special edition includes the game itself, special packaging, "Downfall" animated DVD, lithograph, artbook, graphic novel, and Ishimura patch. The price is much higher than other limited editions because EA made such a small quantity and has never re-printed them. At the current new price of $750, the game has increased in value 400% since it came out 4 years ago. Fallout 3's received two special editions, the Collector's Edition (see below) and the Survival Edition. The Survial Edition includes everything in the Collector's Edition in addition to a full sized Pip-boy 3000 replica, which is basically a really cool looking digital clock. The Survival Edition was sold exclusively at Amazon for a retail price of $129.99. Even in used condition this special edition sells for more than double the MSRP. The original Mass Effect's collector's edition includes the game, tin box, tin box slip cover, an art book, and fiction book. This Collector's Edition was not an exclusive or produced in extremely limited quantities, but it still sells for much more than the original retail price if it is still sealed. Assassin's Creed II The Master Assassin's Edition includes the game, limited edition box, Ezio figurine, an artbook, and DVD with music and behind the scenes videos, and two bonus areas in the game. The two bonus areas were later made available via Xbox Live and Game of the Year Editions. Tales of Vesperia Special Edition includes the game in a steelBook case and a 10th anniversary soundtrack CD. 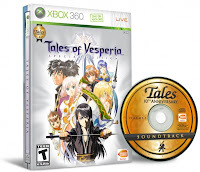 The soundtrack includes tracks from many of the Tales games released in the past decade. This special edition has much less included than other limited editions on this list, but still fetches a big premium to the original MSRP. The game originally sold for $69.99 and even in used condition it sells for more than that now. 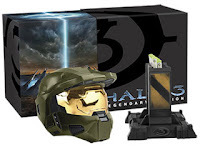 The Halo 3 Legandary Edition includes a special edition outer box and inner box, three disc set with the game, Collector's Edition disc, and cutscene disc. The limited edition also includes a scaled-down model of the Mark VI helmet. This is the first game on the list that has actually decreased in price slightly from its initial retail price of $129.99. It is also the one that sold the most units, which explains why prices are not as high. If the helmet had been life sized this would be the ultimate Halloween costume item. 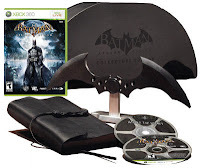 Batman: Arkham Asylum Collector's Edition includes the Batman game, 48 page journal, behind the scenes DVD, exclusive DLC code, and a replica Batarang measuring 14" across. The Collector's Edition retailed for $99.99 originally and is slightly more expensive than this if still sealed in the original packaging. Call of Duty Modern Warfare 2 Prestige Edition has perhaps the coolest special edition pack-in ever - fully functioning night vision goggles. Along with the googles and the game itself, the special edition includes an artbook and special game tin. The game originally sold for $149.99, which makes it the most expensive game on this list in terms of MSRP. The game sells for about $30 less than its original price so it has decreased in value over time. Marvel Ultimate Alliance in late 2006 and by mid 2007 several different downloadable packs were available with different characters and achievments. In May 2007 the Gold version was released with all the downloadable content already included. A Platinum Hits version was released four months later and the Gold version was discontinued. Because the Gold Edition was available for such a short period of time it is available in much smaller quantities than the other two versions. Aksys's "Really Naughty Limited Edition" for Record of Agarest War is not your usual limited edition. It comes with the usual soundtrack, and special box to go along with the game but it also includes Vira-Lor breast shaped mouse pad and Yearning Ellis pillowcase. All the artwork included in the limited edition is much more provacative than the standard cover art. The limited edition sold for the same price as the regular edition but was available via preorder only. Based upon recent prices the naughty edition has nearly doubled in price. After the success of the Halo 3 Legendary Edition, Microsoft decided to do a Legendary Edition for Halo: Reach as well. 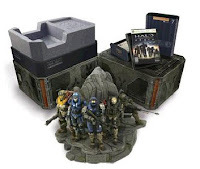 This version includes an armored container, the game, in-game exclusive content, journal, security badge, embroidered patch, and Noble team statue. Microsoft overproduced this version though if prices are any indication. The game originally sold for $149.99 but now only sells for a little more than $80 when brand new. That price is still enough to qualify for this list, but it is the largest price decrease from MSRP with an almost 50% drop. Aliens vs Predator Hunter Edition includes the game, special box, artbook, Weyland-Yutani badge, postcard, and best of all a Facehugger alien replica. The game quickly sold out a GameStop at the $99.99 price, but has still decreased in price a bit inspite of the initial sales success. The Final Fantasy XI Ultimate Collection includes the original FF11 game plus all expansions and three add-on scenarios. The PC version is available as a download on Square Enix's store for $20, which helps hold the price down on the PC version ($5). The Xbox 360 does not have a full download version and now sells for a premium price. 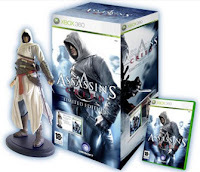 The original Assassin's Creed Limited Edition contains the game, a bonus disc, a collectible 3 inch Altair figurine, a comic, and a mini-strategy guide. This limited edition sells for almost the exact same price as it did originally at retail stores. 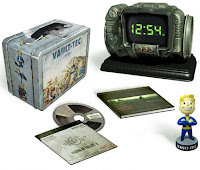 Fallout 3 Collector's Edition includes the game, art and commentary book, behind the scenes DVD, Vault-Tec lunch box, and a Vault Boy Bobblehead. This version was sold at all major retailers and is much more common than the Survival Edition near the top of this list. The only difference between the two is the color of the outer box and the inclusion of Pip-boy 3000 replica in the Survival Edition. I can understand what your saying. We don't have a way to do that automatically, unfortunately. I could make a top 10 list of games that do not include any accessories. Would that work for you? i am amazed Batman Arkham City Collectors editon, and Tales Vesperia Collectors editon is not on here. why isnt Resident evil 5 collectors editon not on this. you missed bioshock...which fetches in mint condition sealed around $500. Actually, you missed a ton that are far more expensive than those. @anonymous - Bioshock sells for about $30 when brand new. If you were referring to the Bioshock Limited Edition, then yes it was not on this list initially but does qualify now - $180 brand new not $500. When we update the article I will be sure to put it on. I had a feeling all of these silly collector's editions they're pumping out nowadays were gonna dominate the rarity charts for current gen consoles. I think it goes without saying that these are gonna be rare, so rare that they barely matter. I'm more interested in what the rare regular edition titles are going to end up being, I've got a few ideas, but we're not quite to that point yet. If you ask me there's been quite a few low print run regular edition games. Path of The Furon has been obvious for a while but there are plenty of others I'd say just as hard to find right now. What about Forza Motorsport 4 Collecter's Edition? I bought it for $70 new. I didn't realize some of these are considered part of the most valuable. To my surprise (since I didn't know these were part of the list) I own 14 of the 15 on this list. I'm sure this list needs updating as one of the ones I can think off the top of my head would be possibly the Borderlands 2 Loot Chest Edition. I have a question for JJ. In your opinion, do you think that the mass effect series will be worth more in years to come? I have become somewhat of a video game investor and with mass effect 1-3 selling for under $10 per game right now on ebay, i was thinking about buying several copies of each in new or very good condition and storing them away. What are your thoughts? @anonymous - Good question. This is obviously my opinion so I may be wrong. Brand new condition Mass Effect could be a good investment as a collector. It has RPG elements and that genre usually does better in the long run. Limited Edition games are a better investment than regular ones though because they are hardly ever reprinted. With PS1 and PS2 and Gamecube, we have seen lots of reprints on games that become expensive. It is a cheap, easy way for a publisher to make some money. Limited edition games have hardware items that are more expensive to remake so it isn't done. I can't think of any instances where it has happened. I would buy it brand new and keep it for a while. Those are the ones that I think will be the best investment in the long run. Thank you JJ i really appreciate your response. I love collecting and buying and trading but when it comes to the holding on to games part i don't have enough insight on how it all works yet but i am ambitious about collecting and learning. If i may i would like to ask one more question regarding the xbox 360. Are there any more games like Mass Effect that you think may be worth more than they are now in the future? @anonymous - It was really fun buying PowerFest 94. Took a long time but it was a great "hunt". Other games like Mass Effect would be Dark Souls Limited Edition, Elder Scrolls V Legendary Edition, Fable Limited Editions, Tales of Vesperia Special Edition, and Record of Agarest War Limited Edition. Games that come out near the end of a console's life are more likely to be rare and valuable in the future. So your best bet would be RPG's that haven't come out yet or any limited editions that haven't come out yet. Look at the release calendar and pay attention to any RPG's for Xbox 360. Do the same with any game with a limited edition as well. Those are your best bet. Thanks JJ! One day i hope to be able to tell you a success story that all started with some ambition and your guidance. I will always really appreciate you for this awesome site you have as i use it nearly everyday.